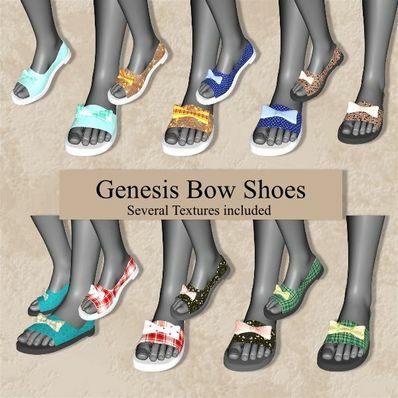 Bow Shoes for Genesis for use in Daz Studio 4. I have included several Textures. So hard to find good open-toe shoes! Thank you so much! You are amazing! Thanks for sharing your great talent!